The TMF Reference Model is intended to cover the full scope of the Trial Master File as described in ICH E6 Good Clinical Practice Guidelines. ICH E6 GCP Guidelines include all the content that the sponsor is required to maintain in the sponsor TMF and all the content that the investigator is required to maintain in the investigator TMF; the latter is sometimes referred to as the ‘investigator site file’, the ‘ISF’, or the ‘regulatory binder’. 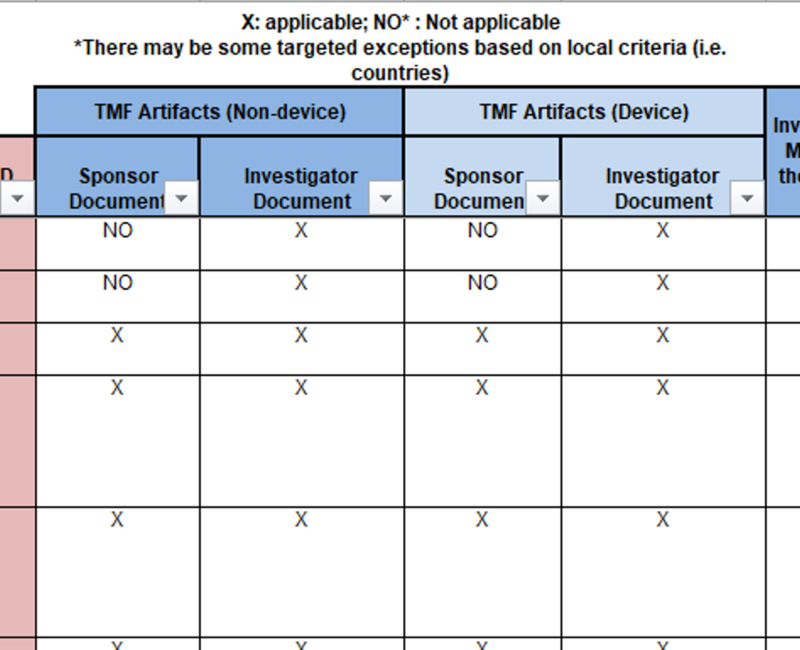 The structure of the TMF Reference Model spreadsheet includes two columns where artifacts are designated as being sponsor artifacts or investigator artifacts. These two columns are shown for non-device trials (columns N and O) and for device trials (columns P and Q). Any suggestion that the Reference Model does not include investigator site documents is incorrect. to ensure the content reflects requirements and best practice globally. Sholeh Ehdaivand (sholeh.ehdaivand@lmkclinicalresearch.com) is leading the MAGI project. The team is currently developing a site reference model that will be mapped to the (DIA) TMF Reference Model.